‘Thanks Caroline. It was a great walk yesterday!’ Sue (Rhoscolyn headlands and beaches. August 17th, 2012). ‘Smashing walk Caroline. Very informative and breathtaking location. I was captivated. Thank you for giving us your time. Hopefully join you again soon.’ Chris (Heathland and Seals Walk. August 19th.2012). 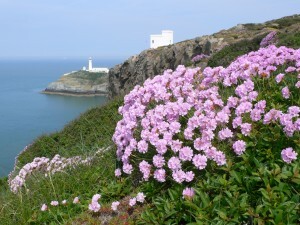 ‘Thank you so much for the walk on Saturday, my family members loved it and you’ve given them a true Anglesey experience.’ Ruud (Porth Dafarch and the Range walk for a Dutch family as part of the wedding celebrations. October 13th, 2012).